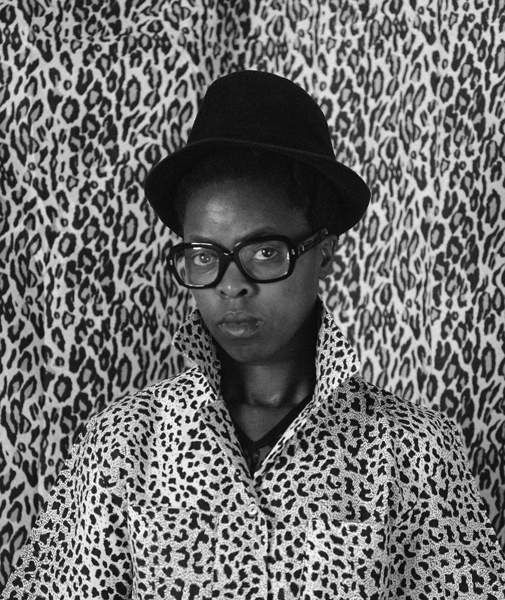 8.16.15 I never knew how hungry I was for images of African lesbians until I walked into South African photographer Zanele Muholi’s show Isibonelo/Evidence at the Brooklyn Museum and stood riveted for half an hour watching the digital slideshow of the 250+ portraits in her series Faces and Phases. Eighty-seven of the photos are framed and displayed along one wall of the gallery in the Elizabeth A. Sackler Center for Feminist Art (next-door to Judy Chicago’s The Dinner Party), along with one wall of testimonials by the subjects and another wall with a timeline of the violence (beatings, murders, and “corrective” rapes) committed against lesbians and trans persons in South Africa. But nothing beats the power of standing in front of the digital slideshow and drinking in these striking larger-than-life black-and-white projections of one unsmiling face after another, each of them making deep calm direct eye contact with…the camera, the artist, and the viewer. 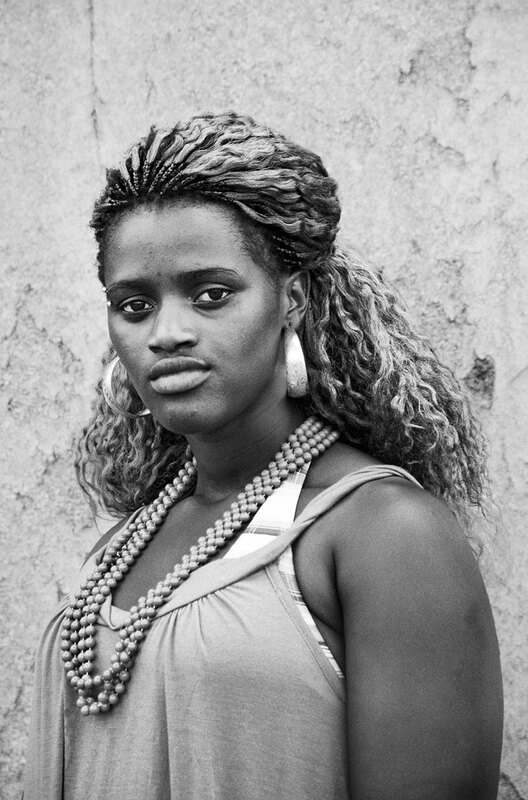 Shot simply against often textured backgrounds, they nod with respect toward the late Malian photographer Seydou Keita’s famous and beautiful portraits of African men and women. 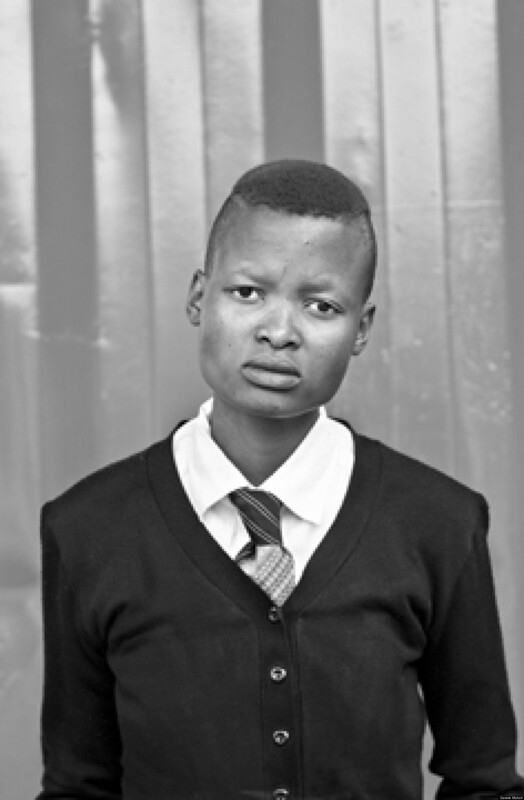 But I was knocked out and grateful to Muholi (above) for undertaking the project of documenting her LGBTI community in South Africa, a project that is not only ambitious and politically valuable but dangerous. Three years ago, her apartment was burglarized. She lost her laptop and over 20 primary and back-up external hard drives containing five years’ worth of photos and video, including records of the funerals of three Black South African lesbians murdered in hate crimes. Nothing else was stolen. 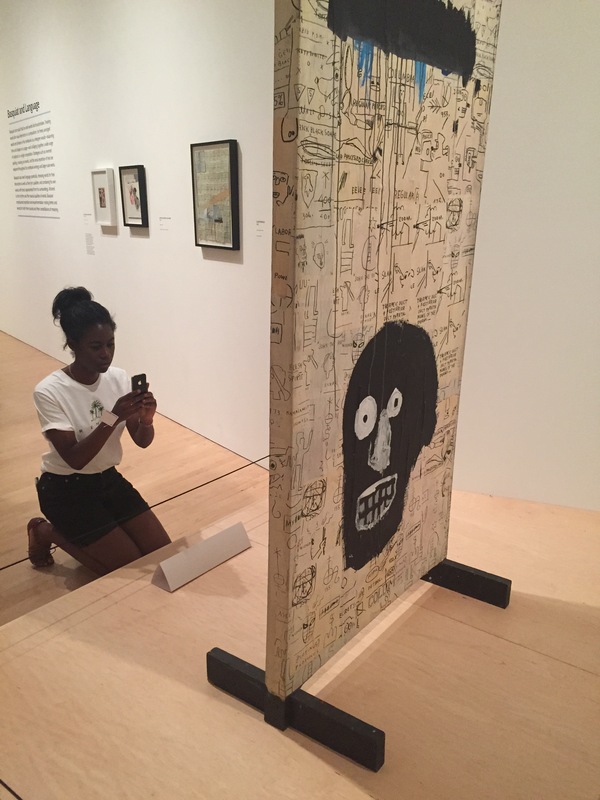 The Brooklyn Museum show is up until November 1. I encourage you not to miss it. 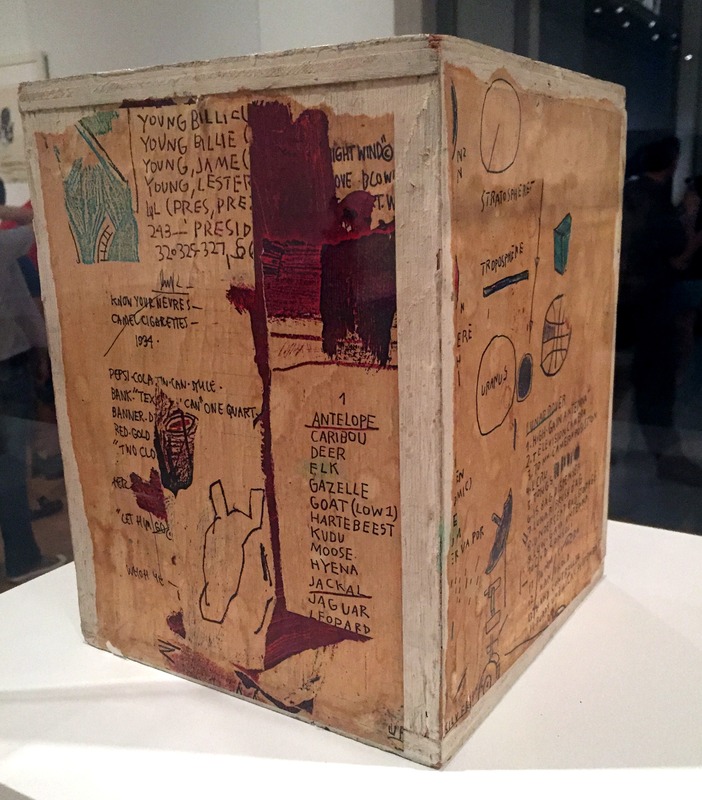 I made my pilgrimage specifically to see the Muholi show but I was also mildly curious to see Basquiat: The Unknown Notebooks. 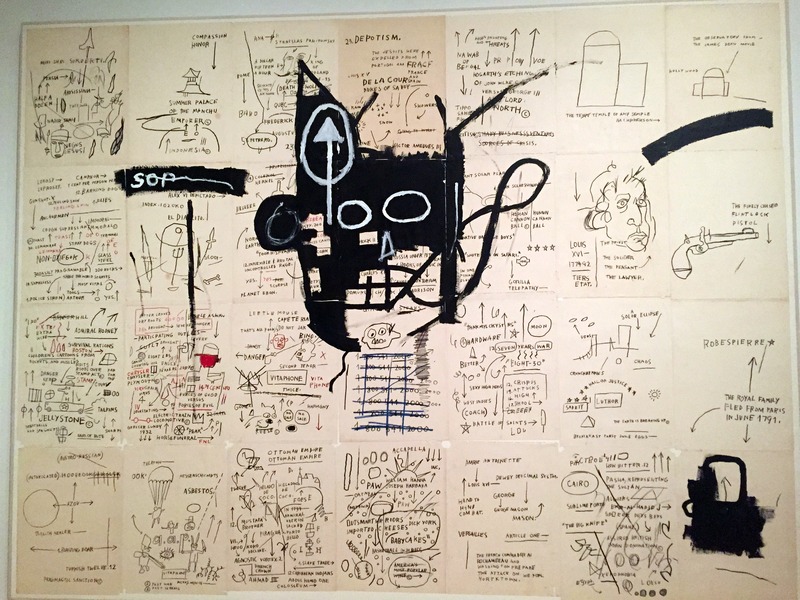 I’m a huge fan of Basquiat; his work excites me more than almost any other artist of the last half century. Hearing that this show basically consisted of eight Marble Composition Books taken apart and displayed page by page, I assumed this would be a minor little show of marginal dribs and drabs. Not at all. 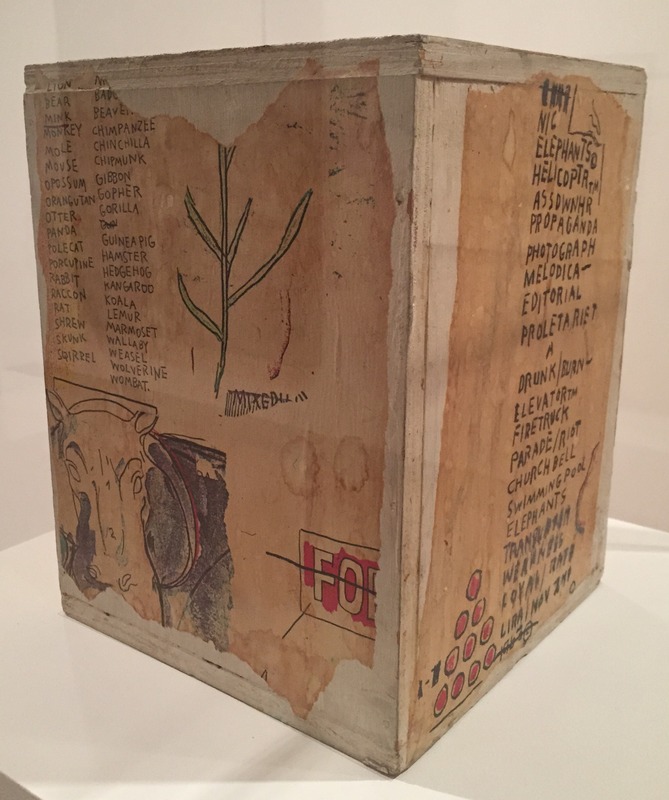 It spotlights the prolific fertile young artist’s use of language – both words as a key element in his paintings (especially lists) but also the poetry that flowed from his deep immersion in literature and music. 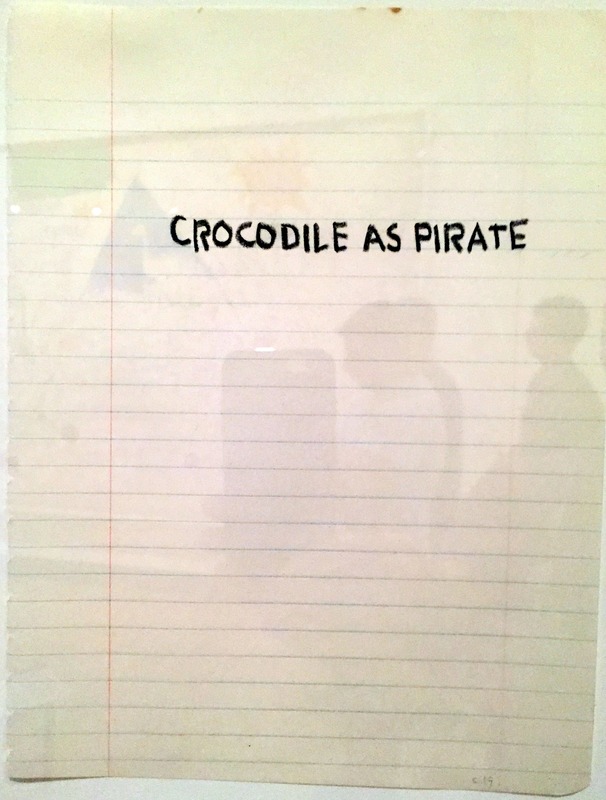 The individual pages from notebooks leap out as ideas for paintings or art projects but sometimes just as great images complete in themselves (above). 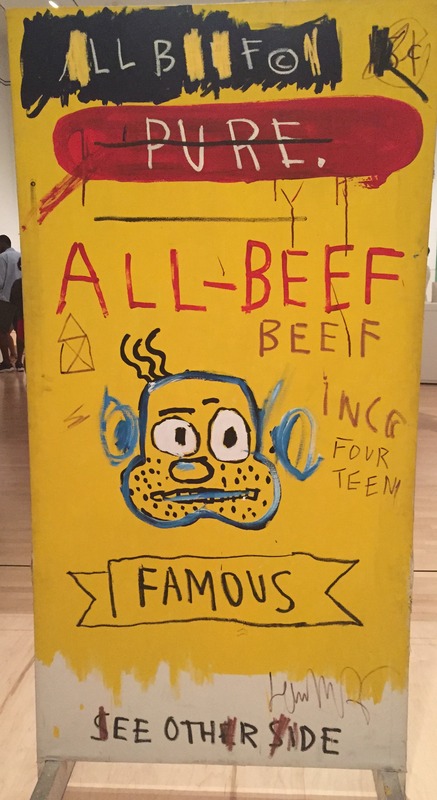 I also wasn’t expecting that the show would include so many big Basquiat works, including a bunch of dazzling stuff I hadn’t seen before – a beautiful little wooden cube painted on every side (above), a couple of free-standing double-sided wooden pieces that look like advertisements for restaurants or stores (below). 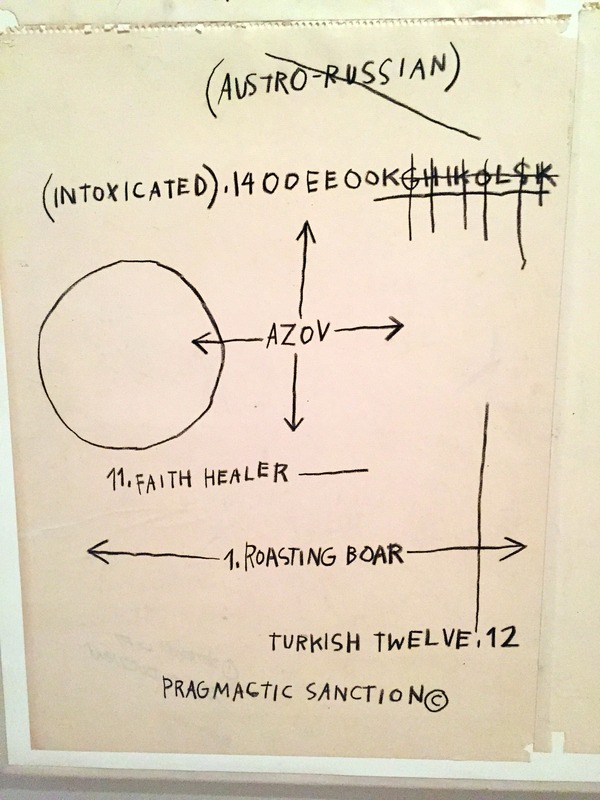 A major piece calls “Untitled 1982-83” pastes together 28 separate notebook pages into one giant canvas; every panel is its own intriguing abstract poem – my favorite is the list that includes: FAITH HEALER, ROASTING BOAR, TURKISH TWELVE, and PRAGMATIC SANCTION. 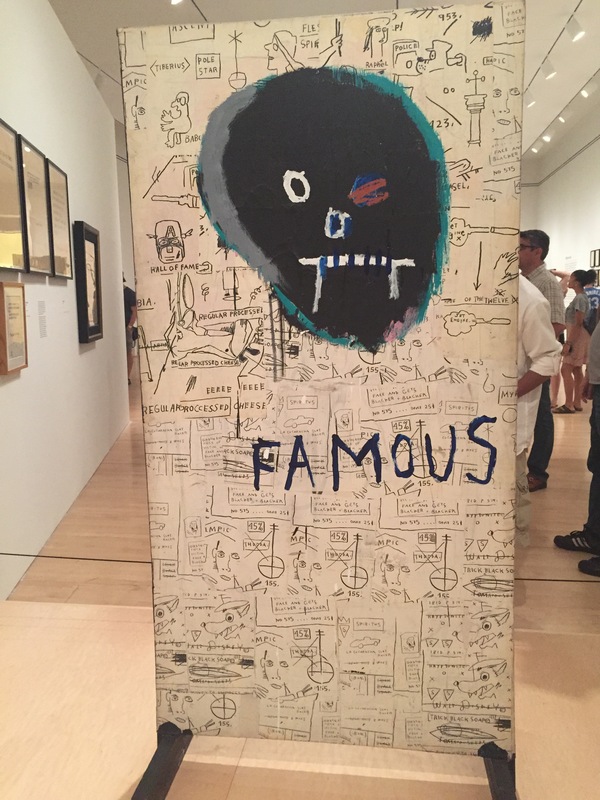 This entry was posted on	August 17, 2015 at 10:56 pm	and is filed under Culture Vulture.